This week has gone speeding by for me. Has it for you too? 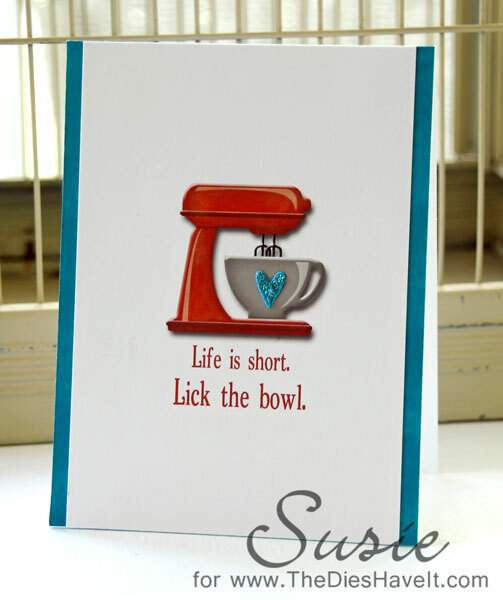 Here is one more "Life is Short" cards for you. The mixer is just some clip art and I added the words at the bottom. I don't do many flat cards, so it seemed like it needed just a bit more, so I added a die cut heart covered in Stickles. I hope you like today's card. Be sure to come back tomorrow for another brand new project.